Order Desk can import orders from your shopping cart(s), sync in your print details and then automatically send them on to POV for fulfillment. When orders are shipped, the tracking details will be sent back to Order Desk and back to your shopping cart if your store is set up for it. This guide explains how to set up and use the POV integration and the features available. 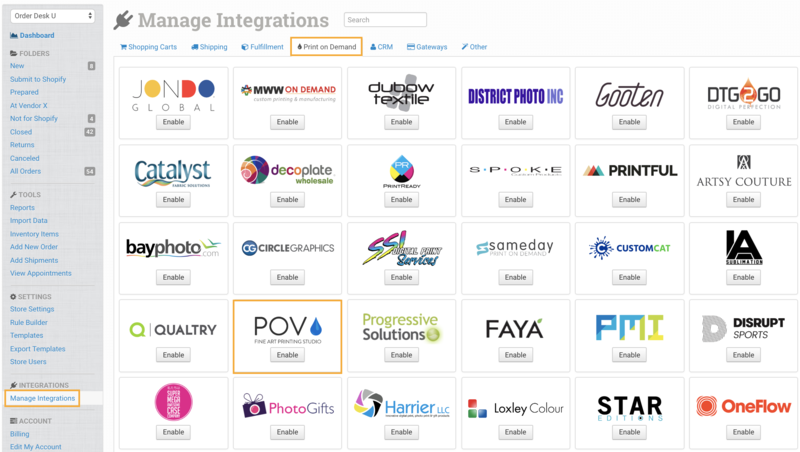 To enable the integration, click on Manage Integrations in the left sidebar. Under the Print on Demand tab, find and enable the POV integration. 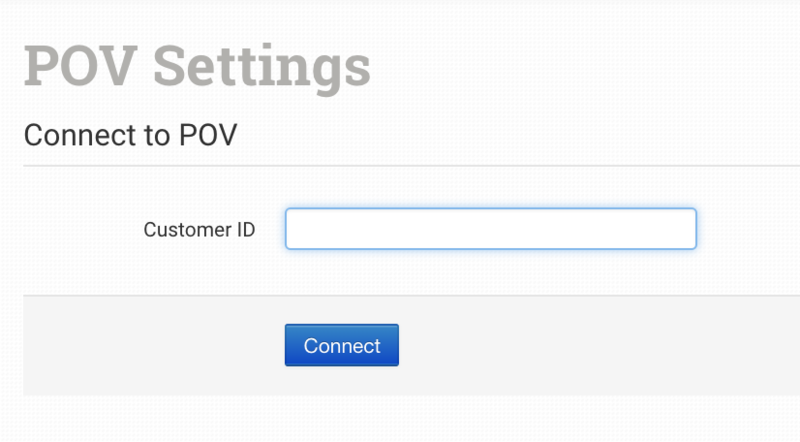 Enter your POV customer ID and click to connect. 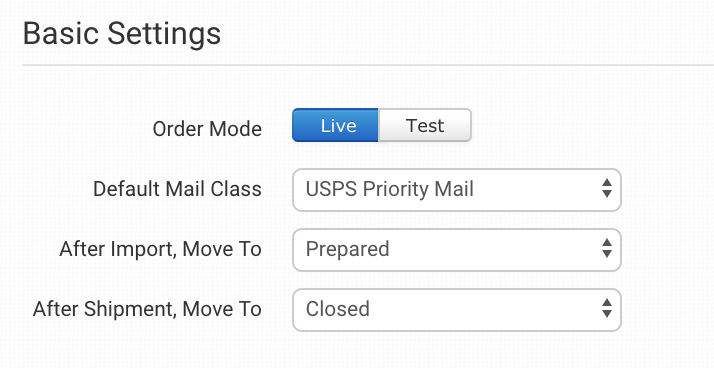 Select Test when sending test orders through to POV. When ready to send live orders, switch this to Live. Choose the mail class you want POV to use for your orders. Select the folder you want orders to be moved into after they are successfully sent to POV. Select the folder you want orders to be moved into as POV sends shipment details back. For more information on what these product settings within the POV integration are for, please refer to the Print on Demand Product Settings guide. If the shipping methods you set up in your shopping cart(s) don't match the shipping method names POV uses, they won't know what methods you intend for them to use. When this happens, the default mail class applied above will be used instead for all of your orders. To tell POV what methods you want them to use, you will need to match your method names to theirs. This can be done in the shipping class match section. For detailed instructions on setting this up, please read through the shipping class match guide. Setting up your Order Desk store to send orders to POV will take some preparation. Every item you send to them needs to have a print_sku (POV's product code for the item) and a print_url (a link to your artwork file) saved to it either as a variation or as item metadata. If you try to send an order to POV without setting this up first, you will get an error that the print details are missing. For a detailed walkthrough on how to set up your items and orders for POV, please take a few minutes to read through the Print on Demand Fulfillment guide. Once you understand how this process works, you can set up your Order Desk store to automatically prepare and send your orders to POV for you.